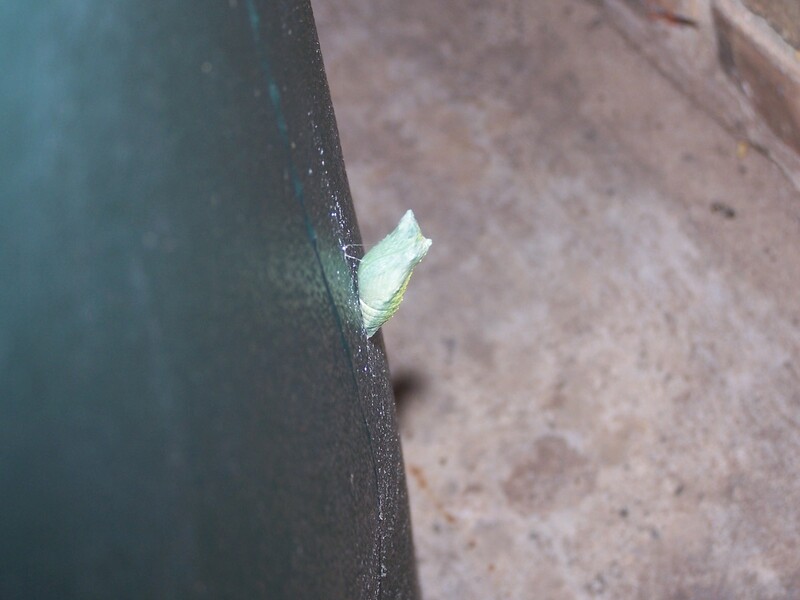 So, I went out about 6:00 pm and took these photos of the one on the trashcan. Not much noticeable difference, if any. I go out about 9:15 pm, and this is what I find. Dang! I missed the magic. The one on the axe still looks pretty much the same. 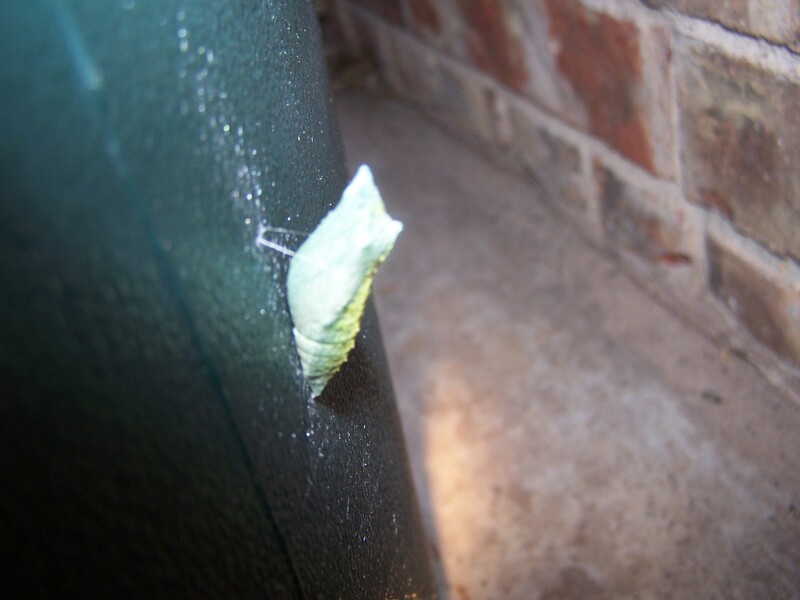 But, I bet when I get up in the morning, it will be a chrysalis, too. 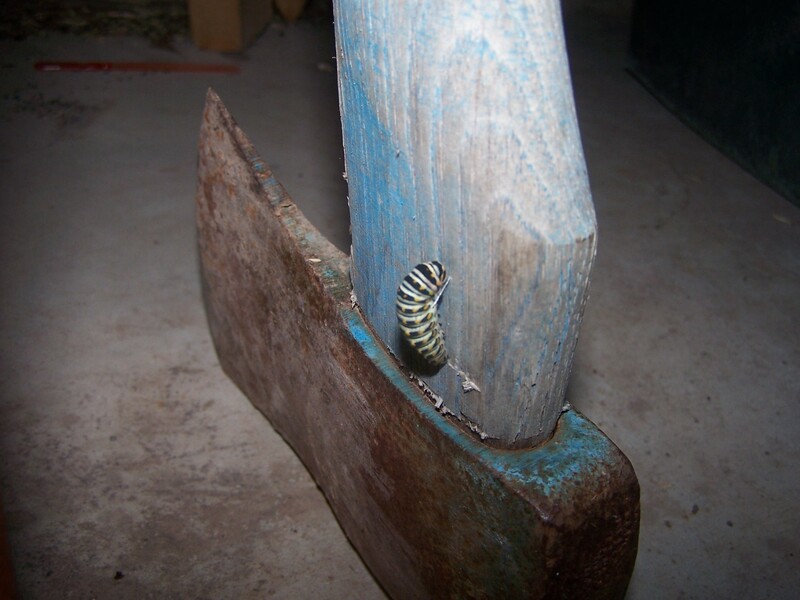 I was really wanting to see the chrysalis emerge. 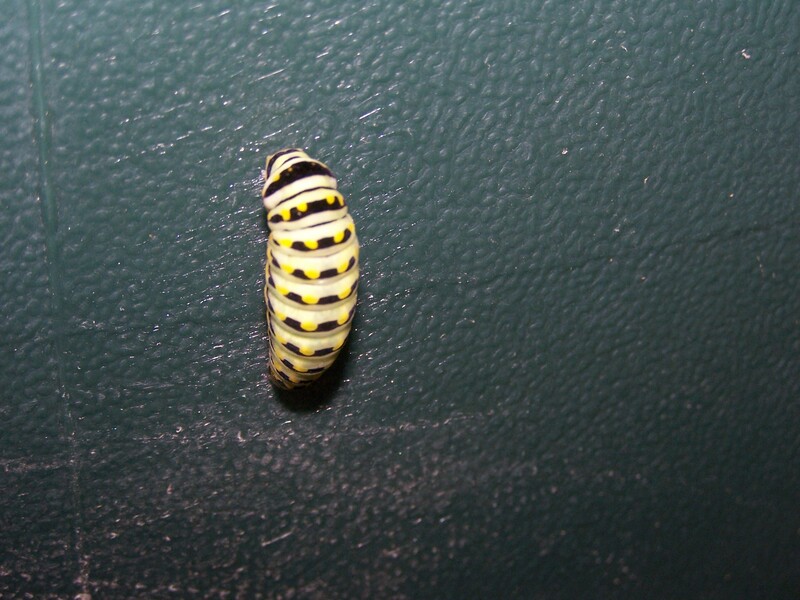 The skin splits open from the head down…not sure where it goes…and it comes out a chrysalis. Wish it would’ve done it while I was watching! I’m excited! Can’t wait to see “what’s next”! 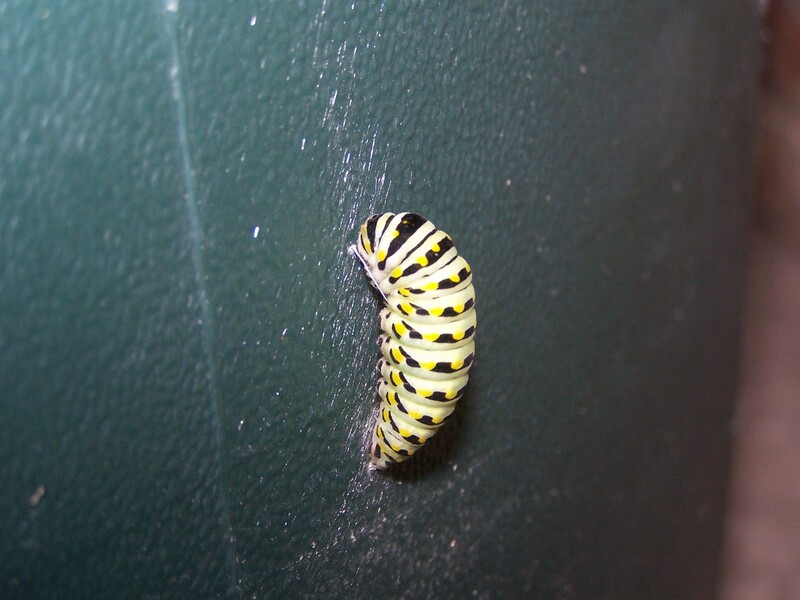 Oh… I’m so happy for you to have those swallowtails. I’ve grown three plants of rue for a couple of years now, when I saw all these goings-on in your garden. I’ve not seen but ONE swallowtail in my garden. And no caterpillars at all. This is really fun to watch Randi! Thanks for sharing! Very cool pictures! I’d be tempted to spend the entire day watching them for fear I’d miss something! BTW, your axe is seriously dull.